Spades is a traditional trick-taking card game has been renewed with all the graphics, stunning sound, immersive environments and fun fantasy based avatars, for which Hardwood Games has become known. The Classic game springs to life. 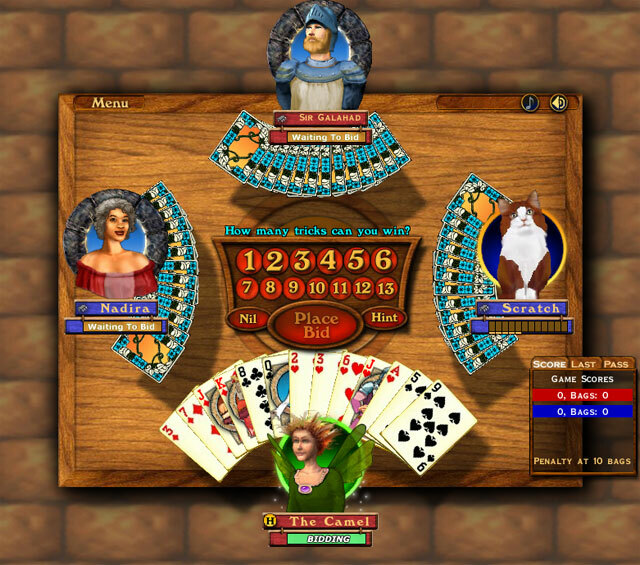 If you are new to Spades, learn to play Spades with our in-game tutorials. For old Spades pros, and new spades players, you'll be playing a game that looks a whole lot different than what you have seen in the past. 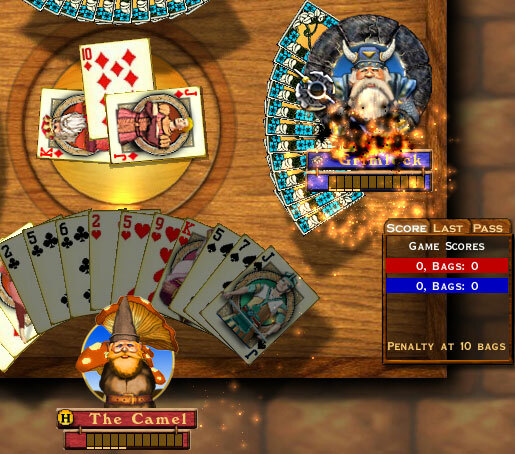 Hardwood Spades is full of color and visual effects. Even the cards look great as the flip and turn like REAL playing cards! You can play spades as one of more than 30 Characters. You are more than just a handful of cards, you are definitely a character! 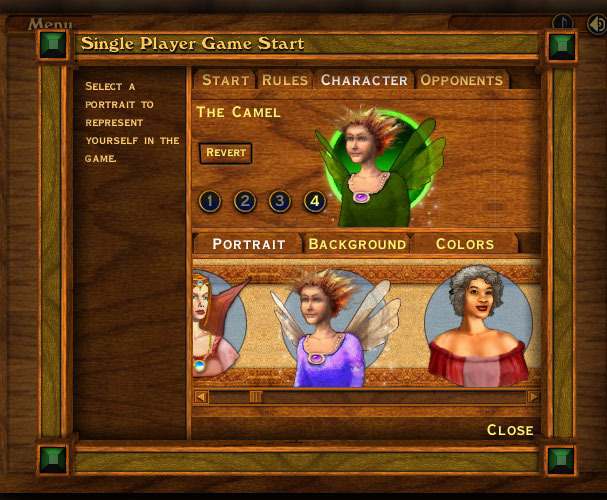 Pick a whimsical character to represent you in the game. You and your opponents could be Knights, Gnomes, or Maidens to name a few! Show other players your true colors as each character is as highly customizable as you are individual. Let your thoughts be known! Don't take any guff off some Knight! Blast him with Fireball FOOM technology! Foom effects are special effects that you can throw at your opponents; great for letting them know how you feel about them. Of course you might want to throw a kiss! 100% satifaction 30-day Money Back Guarantee! Play spades online and make new friends. Hardwood Games site has over 1000 players at a time and over a 100 tournaments a day! Even Build your own unique decks with Hardwood Spades built in card deck maker.